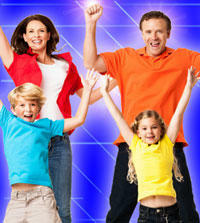 We are known for being a great place to have fun playing on huge inftatables that provide tons of fun. Bounce Roanoke is the perfect venue for your group to hold their events. We are the kids’ favorite place for field trips, fundraisers and more. 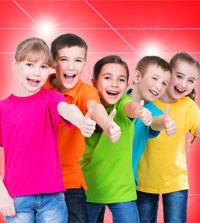 Bounce Roanoke will organize your Group Events with ease. We'll do all the work and provide you with everything you need to host the perfect event. Team Pizza Parties are great way to finish off a super season and reward your team with a well-deserved celebration. Setup a field trip to Bounce Roanoke and our event coordinators will host a great time for all. If your group is looking for a good fundraising opportunity, Bounce Roanoke has all the resources you'll need to meet your goals. We want to help your team CELEBRATE as CHAMPIONS! You had a great season, now celebrate their excellent effort this season with a BOUNCE ROANOKE TEAM PIZZA PARTY! This 2 hour party includes pizza and beverage for up to 15 kids. Sports team parties include 80 minutes in the party arena followed by 40 minutes in the party room. These parties cost $229. 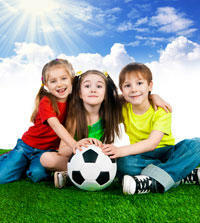 Any additional children/siblings are just $10.00. Please call us at (540) 345-7867 to schedule your party today. Pizza may be added for parents/coaches. Kids will love bouncing and playing in their own private, secure arenas. Event coordinators will have a bouncing good time too and love the ease of hosting a field trip at Bounce Roanoke. Your group will have a completely private field trip, so the kids are safe and secure; and can order lunch for all attendees, making it completely hassle-free. Available any time Monday and Friday and after 12:00pm on Tuesday, Wednesday and Thursday. Setting up a Bounce Roanoke Fundraiser is simple. First, select your date and time. Bounce Roanoke is available Monday through Thursdays 3:00pm - 9:00pm (90 minutes in the arena and 30 minutes in the Party Room). Next, Determine the per person price of your fundraiser. Consider your fundraising goals when setting the price. Bounce Roanoke will charge your organization $4 per person. For example, if your cost is $10 per person, Bounce Roanoke will get $4 per person and your organization will keep $6 person. Finally, Advertise your event so that it is well attended. All you have to do it "Get The Word Out" with flyers, posters and/or emails! Planning and Help Provided. Contact Us to Learn More!